Look on a wedding blog anywhere and you will see pages of beautiful wedding venues. Barns, Country Houses, Marquees...the list is endless. I often get couples contact me who are having weddings that are going to be a little different and they are concerned that there won't be "pretty" enough places for their wedding portraits. Let me tell you that there is beauty to be found in more places... you just have to open your eyes! 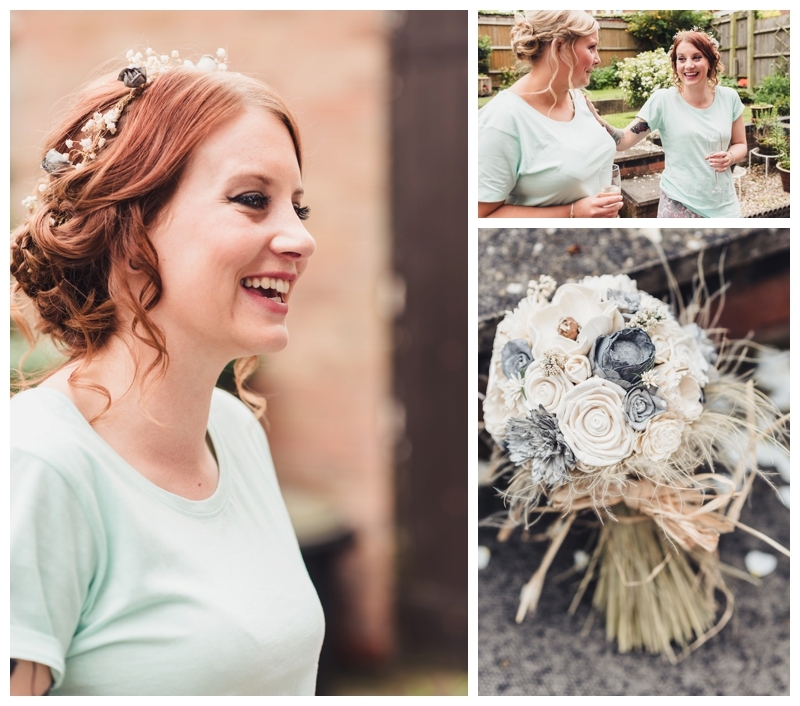 Katie & Stephen had a traditional wedding ceremony at St Mary & Margaret's Church in Castle Bromwich. The church is in an urban area but has some lovely grounds and it's bright blue doors are a stunning backdrop for some formal group photographs. We then headed to the Fleet St Kitchen in Birmingham City Centre. 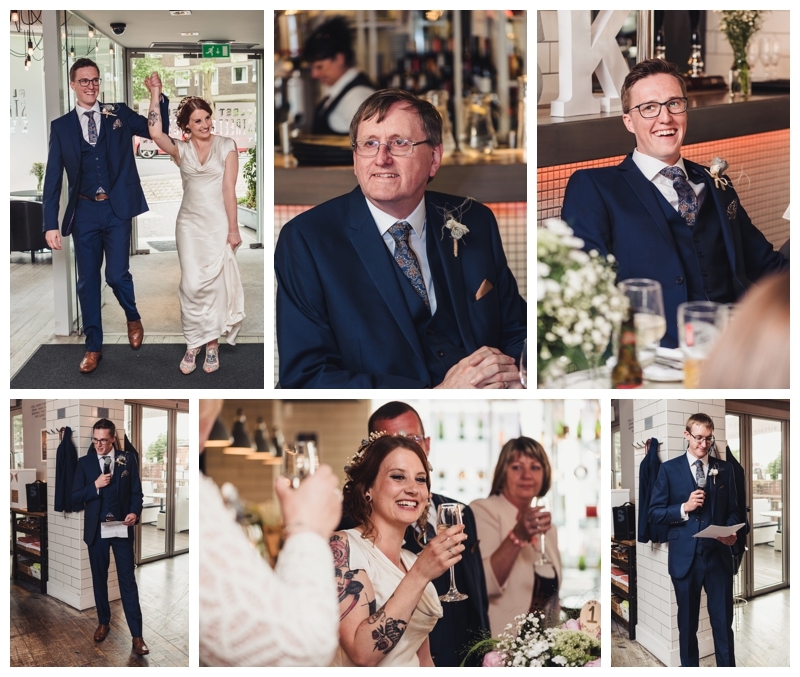 Katie & Stephen had hired the whole restaurant and with it's terrace overlooking the canal, it was perfect for a summer wedding. 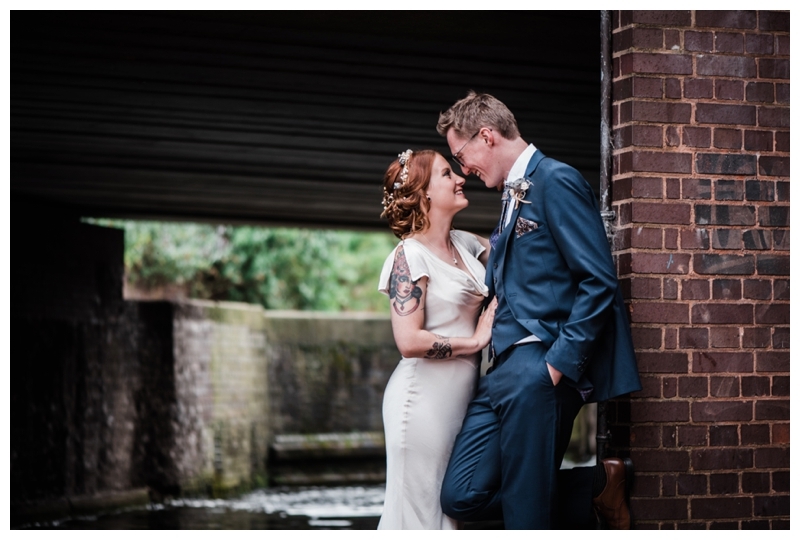 While everyone was tucking into the wedding breakfast, I snuck off to scout out some lovely places for couple photographs and boy oh boy did I find some beauties!!! I love looking for something a little different on your wedding day so if you are planning a city centre wedding, please do get in touch.